Motorola Moto Z2 Force Edition Price, Review, Deals, Cost, & Sales! 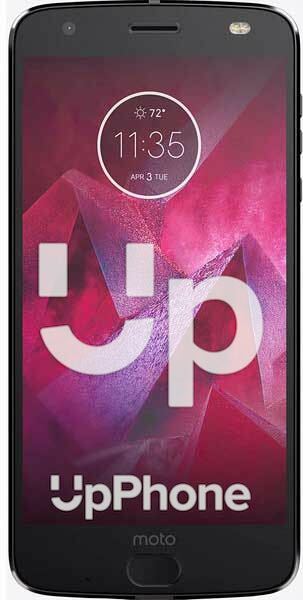 Home / Compare Cell Phones / Motorola Moto Z2 Force Edition Price, Review, Deals, Cost, & Sales! The Motorola Moto Z2 Force is a revolutionary modular phone design aptly called “Moto Mods” where an assortment of accessories could be attached making it more than just a smartphone. The Moto Z2 Force is equipped with a 5.5” P-OLED shatterproof display with 16M colors and has a resolution of 1440 x 2560 pixels. The Moto Z2 Play, on the other hand, has a 5.5” Super AMOLED screen with 16M colors, has a resolution of 1080 x 1920 pixels. It has a 12 MP rear camera with f/2.0 aperture that is able to capture 4K videos @ 30fps and another 12 MP black and white camera sensor with the same aperture. It also has a 5 MP secondary camera. The Moto Z2 Play, on the other hand, has a 12 MP rear camera with f/1.7 aperture that can capture videos of up to [email protected] and a front 5 MP camera that is able to record HD videos. For the storage, it has an internal capacity of 64/128 GB and supports expandable memory of up to 512 GB via microSD. While the Moto Z2 Play has the 32/64 GB variants and supports up to 256 GB expandable memory via microSD. This device has a single front-firing speaker which also functions as an earpiece. It is loud and will not distort sounds at higher volumes. The Moto Z2 Play the same speaker configuration. The Moto Z2 Force is equipped with a front-mounted fingerprint reader embedded in the home button. The Moto Z2 Play also has the same sensor and location. This device runs on Qualcomm MSM8998 Snapdragon 835 with eight cores. While the Moto Z2 Play runs on Qualcomm MSM8953-Pro Snapdragon 626. There isn’t that much of a difference in terms of speed or smoothness when it comes to performance as both phones will do well for the average user. Powering the device is a smallish 2730 mAh battery considering that it needs to power a 5.5” display screen but, on the other hand, it supports quick charge. Talktime over 3G network will last you 15:04 hours, 9:52 hours for web surfing and 18:21 hours for videos. While the Moto Z2 Play has a much bigger 3000 mAh battery to power the same screen size. Fact This model has a shatterproof display screen which is made from plastic which is very prone to scratches. It has Moto Mods that attaches to the back of the phone via magnets and, with assorted options, makes this phone a true modular one. The Moto Z2 Force has a separate black and white 12 MP camera sensor. This phone has no headphone jack. It comes with a headphone jack adaptor right out of the box. Despite the modern technologies incorporated into this phone, you’ll be disappointed that it packs a small battery.